Original: Oil painting.Shows Rev. 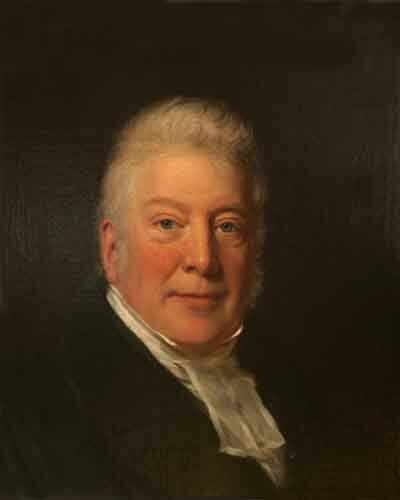 SKINNER, Rector of Kilmersdon. Portrait in Museum’s collection. Unknown photographer. Without the Journals assiduously kept by this profoundly learned clergyman who held the rectory of Camerton between 1800 until 1839, we would lack the detailed knowledge of life in a local North Somerset parish. While his temperament and family tragedies affected his personality, and doubtless the cause of much psychotic depression, his accounts of parishioners and events, albeit subjective, were at least first hand. We gain insights into everyday incidents, epidemics, peccadilloes, frailties of human nature, tensions between the rector and dogmatic dissenters. Both the lower orders and the higher orders came in for his vitriol and condemnation. Above everything, he was convinced of the inherent rightness of the Church of England, equating its institutions with the status of kingship and the state, and refusing to quit his position. An unshakable Tory by conviction, his political views brought him into occasional conflict with what he saw as revolutionary elements. Skinner’s death preceded the growth of Chartism by only a few years but the signs were apparent, even allowing for his pessimism for the future of his otherwise beloved country. His lofty sense and personal dignity was the target of mockery and spiteful comment; while his inability to command overflowing congregations and his vexations caused by rebellious church singers and bell ringers cast himself as a martyr. Some of his troubles were undoubtedly the result of losing his young wife after only six years of marriage. Lacking support for bringing up surviving children, with their illnesses, needs and challenges, superimposed on his sensitive person a burden that would eventually lead him to take his own life. He found relief in antiquarian interests, partly supplied by archaeological finds in his own and neighbouring parishes. Congenial company was found with fellow gentility of like mindedness, but his own company in the privacy of his study brought a degree of solace. Although mistaken in his interpretation, his fixation with a supposed historical Roman significance of Camerton brooked no challenge, and he found comfort in searching for documentary evidence and copious writing of his convictions. In a sense, his Journals were his alter ego, and through the often tortured commentaries, the pages reveal both his own feelings and the scenes in which he found himself. A background of legal training enabled his obsessions with detail to be pursued in minute thoroughness. His will asked that no Journal should be read for fifty years after his death. Had it been different, the Journals may have risked the fate of a public bonfire by irate subjects mentioned unfavourably. The Museum Society is indebted to the ‘intellectual’ legacy of this man, whose extensive record abounds with items that would never make newspaper headlines of the day, but were the very stuff of parish life. The RADSTOCK MUSEUM Newsletter, which is distributed by email, contains details of all the exciting things going on at the Museum. Please send us a donation through the LOCAL GIVING scheme. This website is developed and maintained by Volunteers at Radstock Museum. Copyright © 2019 Somerset Coalfield Life. Powered by WordPress. Theme: Spacious by ThemeGrill.